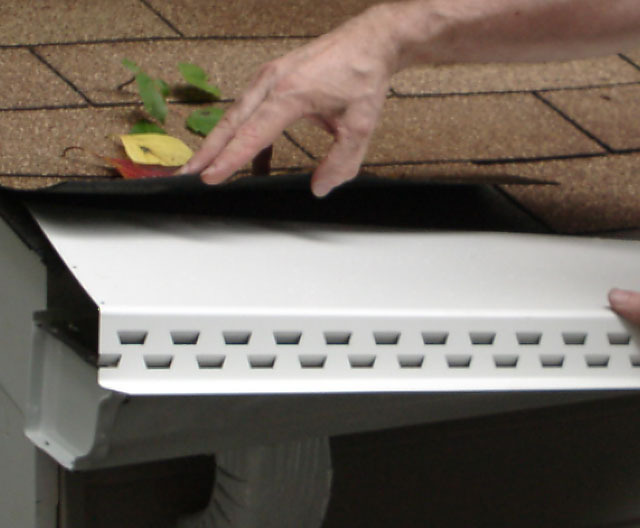 Waterloov Gutter Guards are the most flexible gutter protection product available today. It can be installed on all roof pitches from flat to mansard (vertical) and on all types of gutters. It is either installed between the shingles or mounted on the fascia board. Basic Standard Installation: Waterloov’s flat rear edge is installed under either the first or second course of shingles. The front lower flange is installed under the lower lip of gutter and hard fastened there with stainless steel screws to make it virtually hurricane proof. Waterloov can also be installed on metal or flat roofs with round lip or straight wall gutters as well as commercial applications. Warning: Installing the wrong product can harm your roofing and create more problems than you started with. Click here for a check list of questions about which you want to be concerned. Waterloov Gutter Guards are the only product that will meet the strictest criteria to protect the investment you have in your home. Metal or flat roof installation: Where there are no shingles, a fascia board mount installation is used. 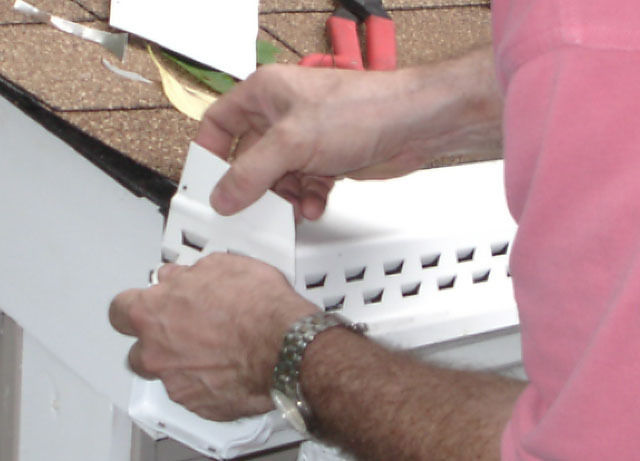 A ledge is installed on the fascia board near the roofing which serves as a drip edge into the gutter. The rear edge of the panels is installed on this ledge with the front being installed as in standard installation. Round Lip Gutters or straight wall gutters: The rear edged of the panel is installed per one of the methods described above. A ledge is installed on the upper portion of the round lip gutter or the straight wall gutter. The front lower flange of the Waterloov panel is installed under this ledge and fastened with stainless steel screws. Panels are available which are wide enough to install on residential 5″ width gutters, 6″ or 7″ commercial gutters. Commercial Applications: Custom built commercial gutters which have the front upper lip near the elevation of the roof edge can be modified to accommodate the Waterloov Gutter Guard system.